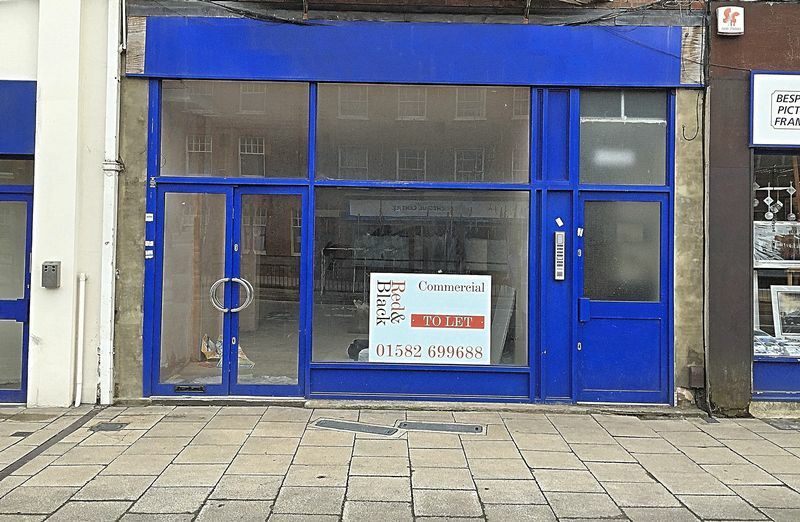 Red & Black are delighted to be able to offer for rent this large multi use retail space in a prominent location on the busy high street of Dunstable. The property offers a large retail area, as well as a separate kitchen space and separate w/c. It also has a large basement area. This unit would suit a wide variety of purposes. Planning permission has been approved for use as a hot food takeaway (A5). The shop consists of approx 420 Sq Ft of retail area, as well as approx 170 Sq Ft of kitchen space. Incentives available for long term lets.